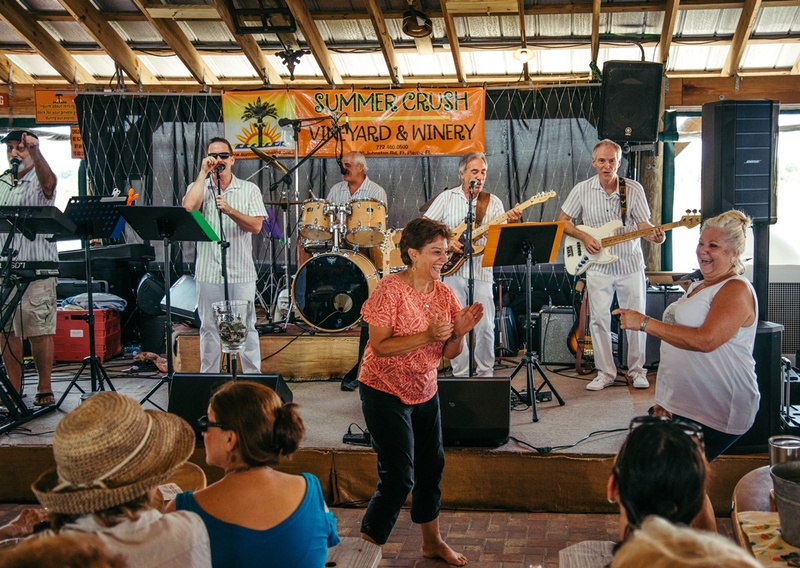 Crush on Charity is Summer Crush Vineyard & Winery's program to assist in raising awareness and funds for local area non-profit charities during our in-house public events at the winery. We ask for a voluntary donation from our customers at that day's event and 100% of the proceeds go to the featured charity. Currently we are targeting small local non-profits in the areas of: hunger, homelessness, abuse, rescue, children, and veterans. If you have a charity you'd like us to consider please send us the charities name and contact information, making sure to include an email address and we will forward our application for consideration to them to fill out and return for our review. We offer our pavilion for themed fundraisers on a sliding scale (based on size of attendance) and can assist with every detail to make your event a success. We also work with non-profits on the same sliding scale, to host their Christmas Season or other party, as well as help take care of catering, music and PA, and any other specific needs your gathering may wish. We offer unique fundraising tournaments with our disc golf course, corn hole, and even bocce ball tournaments. So if you are looking for something new and different these may be for you. These tournaments can be very simple or include all the usual tournament activities like: luncheon or dinner around the event, silent auction, music, and contests within the tournament: like longest and straightest drive, closest to the pin, etc. We customize all our fundraising programs to fit your individual needs. We are often a destination for a corporate team and relationship building day, through wine tastings, tours, and a picnic area complete with bocce ball, Bimini ring and corn hole games, as well as a 9 hole Frisbee disc golf course, for your team to have fun, build relations, and relax.